BERLIN -- Eight people were injured in an attack on a busy bus in the northern German city of Luebeck, and a suspect has been arrested, police said Friday. Local daily Luebecker Nachrichten reported, without giving a source, that a suspect had attacked passengers with a knife. Police spokesman Duerk Duerbrook said the attack occurred in the Kuecknitz district of Luebeck, northeast of Hamburg. He told The Associated Press that authorities were still trying to determine the circumstances of the attack. The agency also quoted Ulla Hingst, a spokeswoman for prosecutors in Luebeck, as saying that police are investigating a suspicious rucksack. "Nothing can be ruled out, including a terrorist background," she was quoted as saying. 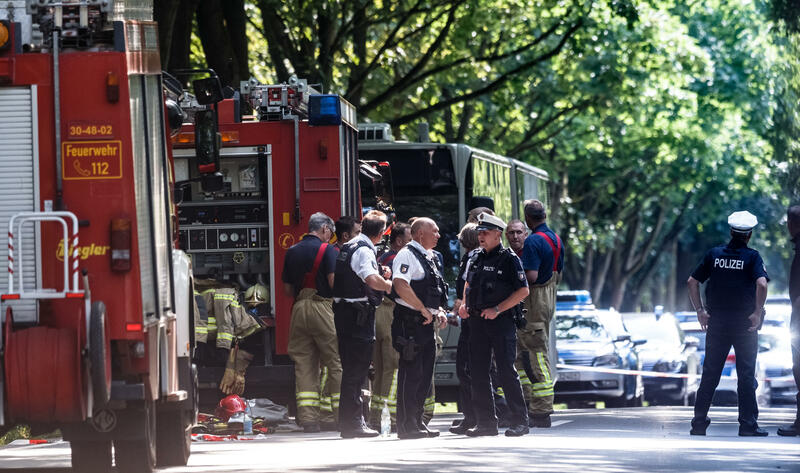 While the motive remained unclear in the Luebeck incident, Germany has experienced a number of terror attacks in recent years, including through the use of vehicles. In December 2016, a truck plowed into a crowd at Christmas market in Berlin, killing 12 people. In April, police said they had thwarted an alleged stabbing attack plot aimed at people gathered for a half marathon in Berlin.